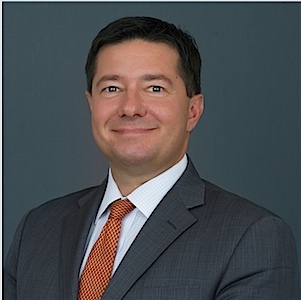 Jason Howell is a 20-plus year veteran of the fixed income markets having held senior positions at Bear Stearns, JP Morgan, Vertical Capital, Barclays, and Credit Suisse. Serving global financial institutions, he has advised on asset-liability, portfolio and relative value strategy, hedging, and regulatory/accounting solutions and has presented at industry conferences. Howell holds a Bachelor of Arts degree in Economics and Business Administration from Rhodes College and holds Series 7 and 63 licenses. He resides in New York with his wife and three children. Attended by over 150 investment professionals, the conference provided Registered Investment Advisor perspectives on ESG (Environmental, Social, and Governance) Investing, and an opportunity to learn from large RIA’sthat are successfully incorporating ESG strategies into their investment process and business models. That’s the main question asked in Ernst & Young’s Climate Change and Sustainability Services (CCaSS) survey of more than 320 global institutional investors’ attitudes to nonfinancial reporting. For this third consecutive annual survey, senior decision-makers at global, buy-side investment institutions were polled to improve understanding of the role integrated reporting practices can play in highlighting a company’s value creation story. (3BL Media/Justmeans) — Revolve Media is holding its 5th annual public information campaign/exhibition, “Visualizing Energy” and The Energy Transition Leaders Forum, on June 22 in Brussels, as the media event of EU Sustainable Energy Week (EUSEW) June 19-23. Financial technology provider and FINRA member broker-dealer ImpactUs has announced the onboarding of the first issuers to its impact investing platform, ImpactUs Marketplace. The Marketplace is a community-driven, full-service platform offering institutions, individuals and financial advisors an extensive range of private impact investing opportunities. Currently, ImpactUs Marketplace has products only for accredited investors but hopes to add additional products for non-accredited investors soon.